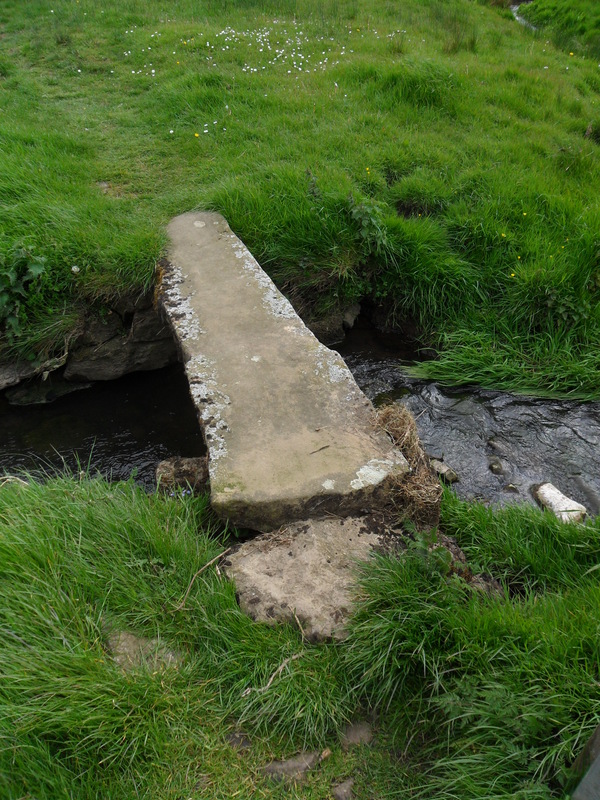 WEST CRAVEN WAY – Barnoldswick Thornton East Marton. The friendly people at The Fountain Inn produced a perfect breakfast for a walking day and I was away about 9. Rather grey start to the day. 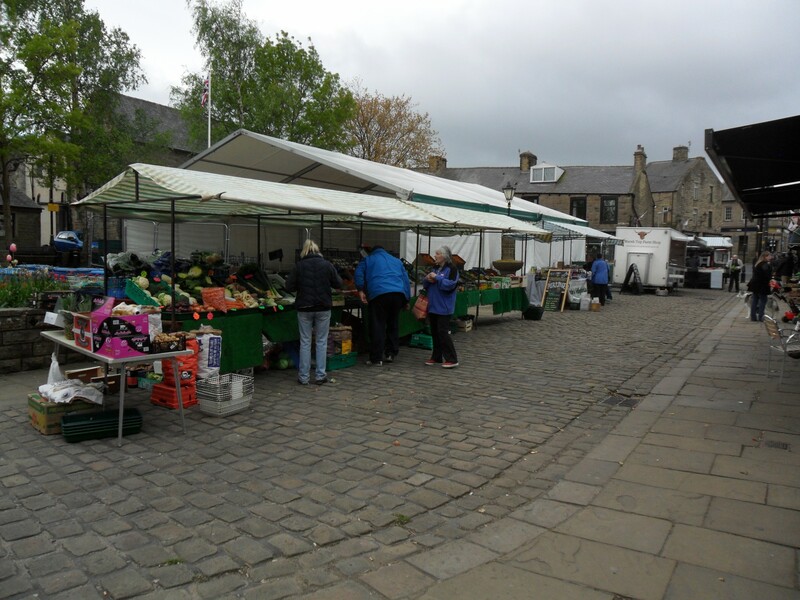 In the market square the stall holders were setting out their goods, mainly cheap clothing I’m afraid, but there was a fruit and veg stall from where I bought a couple of bananas. Soon I was onto the canal tow path, Leeds-Liverpool, and passing The Anchor Inn. 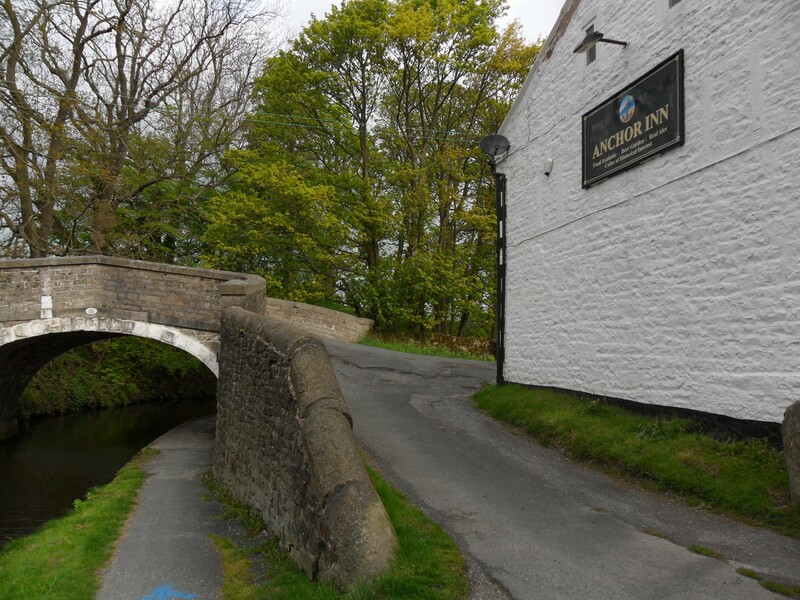 This is an old turnpike inn which later became a canal side attraction. In its basement cellar is an amazing and unexpected stalactite display. There were a few boats moored up but no canal traffic. 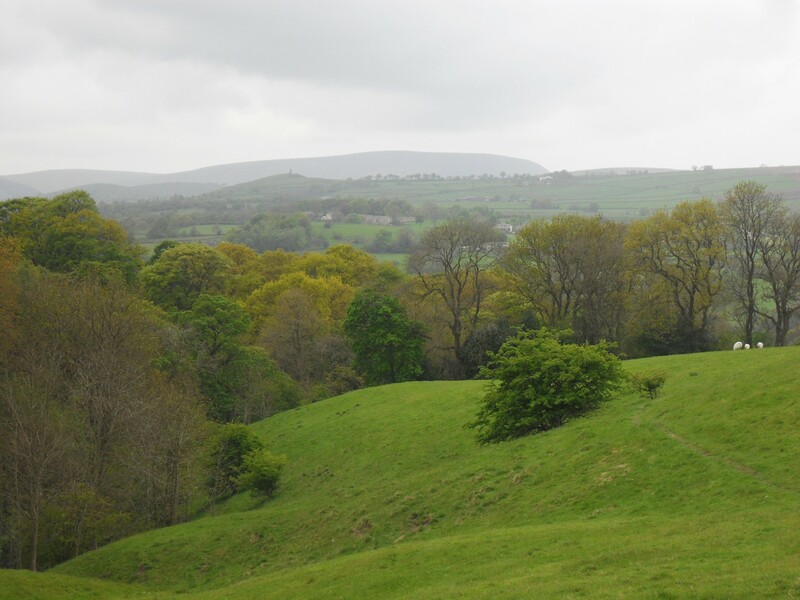 After a short stretch I took to the fields towards Kelbrook Moor and was soon climbing alongside the delightful Lancashire Ghyll with the mighty Pendle Hill and the diminutive Blacko Tower in the background. 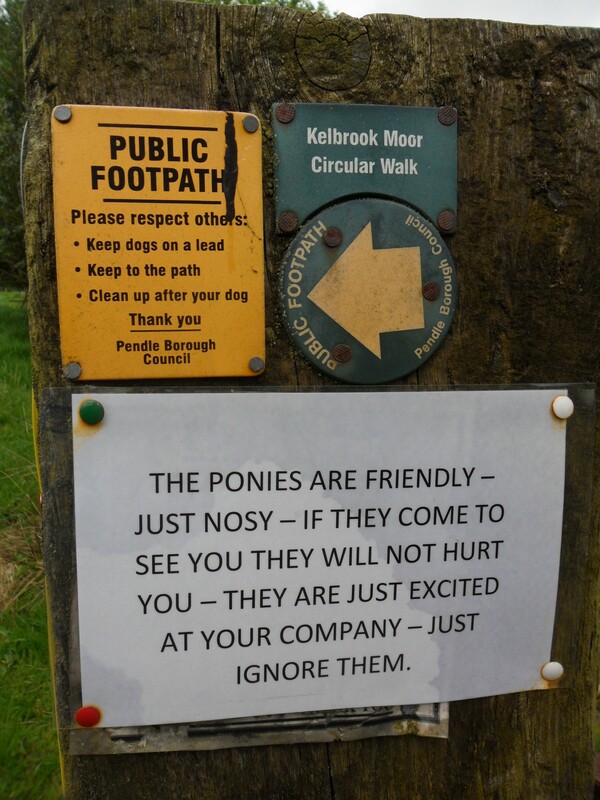 The Pendle Way was followed for a short distance, this is a 45mile route I walked over 2 days a few years ago only to find on my completion a note on my car from a ‘countryside warden’ worrying about my whereabouts. He had been on the point of calling out the mountain rescue. It is always a dilemma when you leave your car for a backpacking trip, putting a note on the windscreen advertising your absence has never seemed sensible. I am circumspect now where I park. 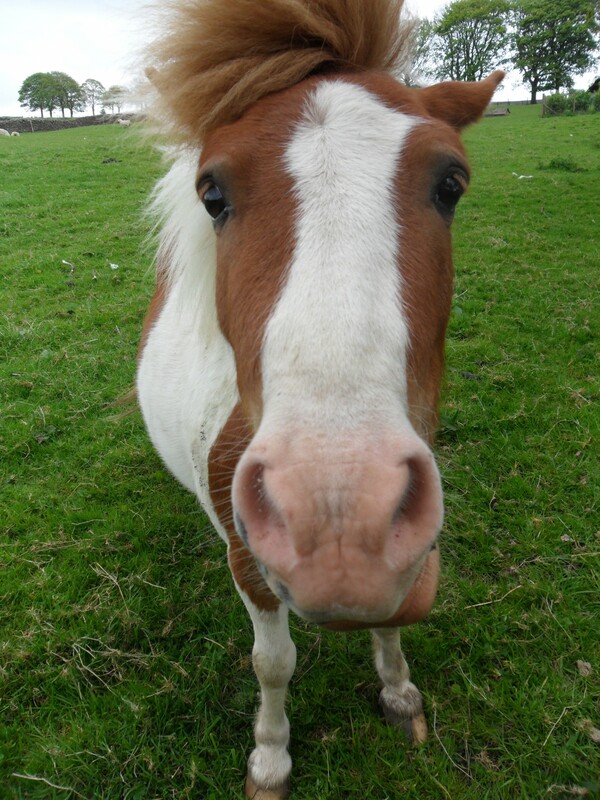 The next couple of miles were through rich pastures and not well signed, I was glad of my leaflet’s directions. The way took me towards Lothersdale, a whole new world of rough moorland fields. This was perfect territory for Lapwings/Peewits displaying their wavering flight and plaintive call. 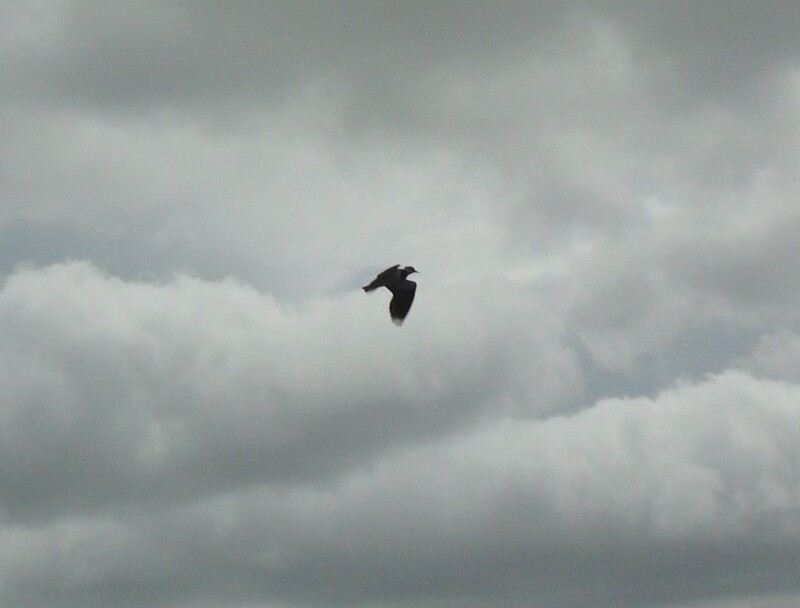 Trying to photograph one in flight was almost impossible. 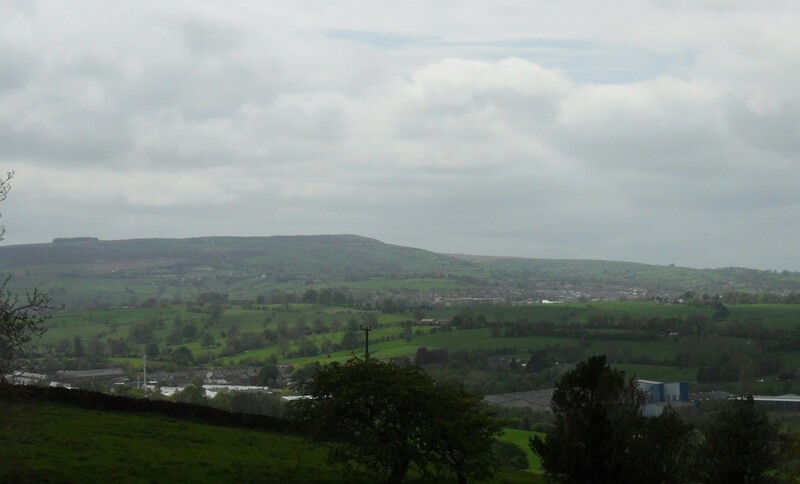 To the west Earby town lay below and Weets Hill dwarfed Barnoldswick at its foot. Weets Hill, Barnoldswick and Earby. 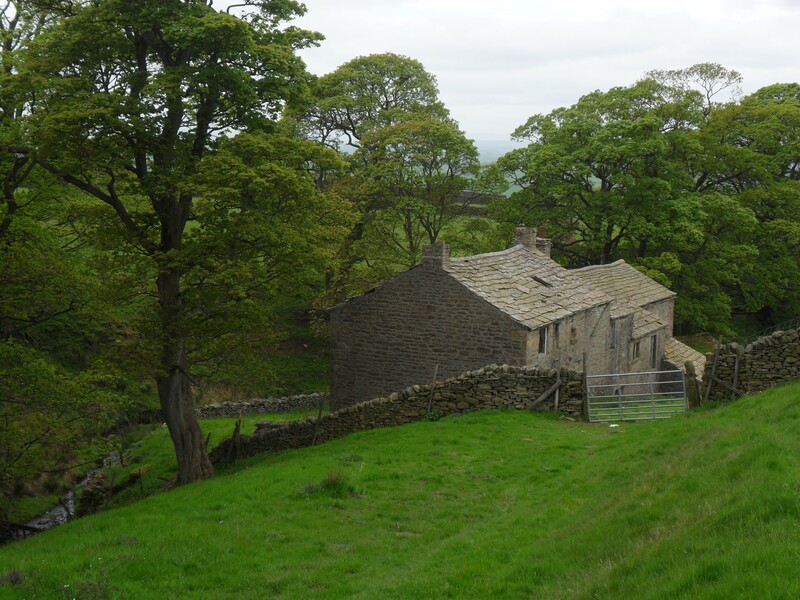 Dodgson Lane followed a clough down the hill and into the farmyard of an isolated and abandoned property. This was in an idyllic situation but with no suitable track to it has so far escaped the developers eye. The area here is steeped in old farming traditions, the stone walls a testament to their labours and everywhere reminders of the past. 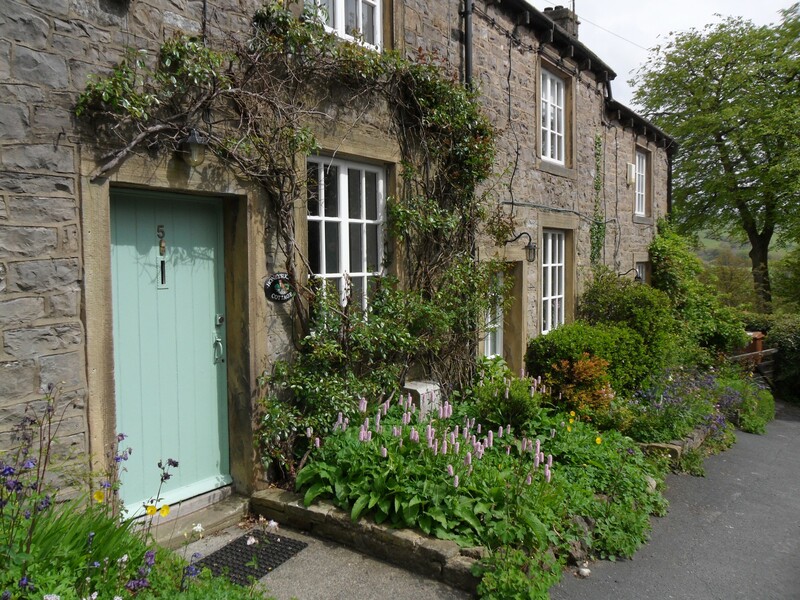 The pretty village of Thornton was a contrast to the moors. 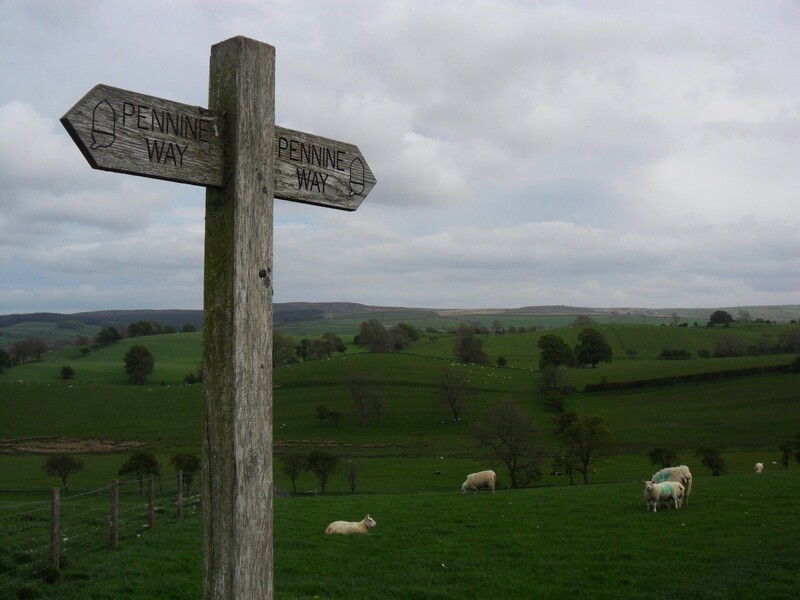 Here I joined The Pennine Way [walked 50 years ago as a teenager with a heavy pack and tent] I was now back into the lush farmland and met a farmer, the only person encountered today, checking his fences. We chatted of old times, his older than mine, shared acquaintances and places. These people are a pleasure to spend time with and full of local knowledge and worldly wisdom. A short stretch back on the Leeds – Liverpool canal and I was back in East Marton. I had time to look around St. Peters Church, with a Norman tower, which I had never visited. Apparently in the churchyard there are memorials to some of the navvies who built the canal – but I couldn’t spot any. The next disappointment was that The Cross Keys pub in the village was closed for refurbishment. At least there were no notes on my car windscreen. I’ve enjoyed this varied walking route and stayed dry for the trip, although the sun was shy and those cold winds persist. I am surprised that no one else seems to be out on the long distance trails. 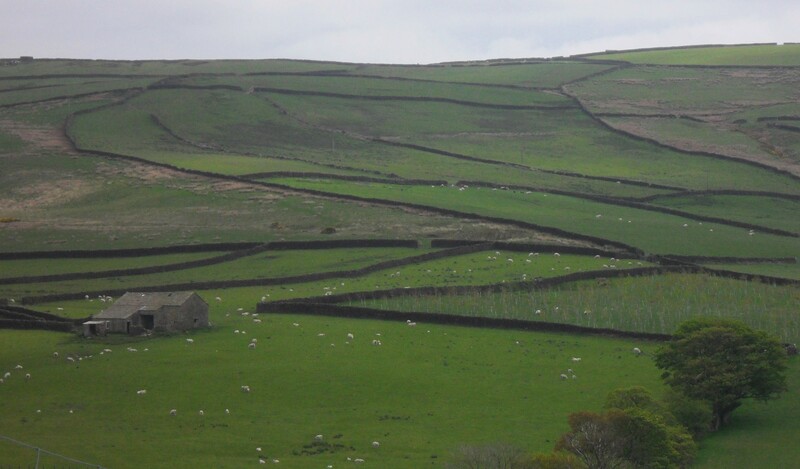 This entry was posted in Lancashire., Long Distance Walks., Walking., Yorkshire Dales. and tagged Canals, Lancashire, Long Distance Walks, Walking., Yorkshire Dales. on May 23, 2015 by bowlandclimber. 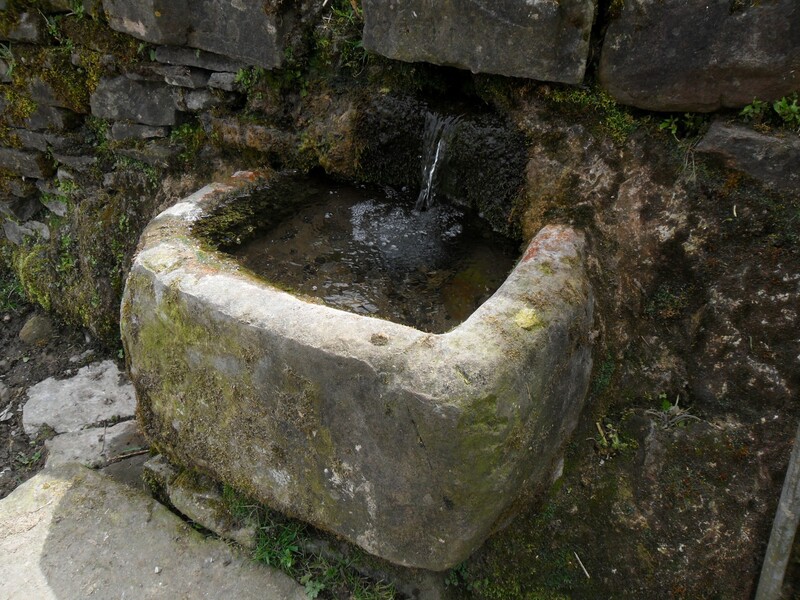 Love all your photos of the various ways stone was incorporated into utilitarian things and their lovely and smooth worn shapes~ the water trough , the bridge and narrowed opening in the stone wall. 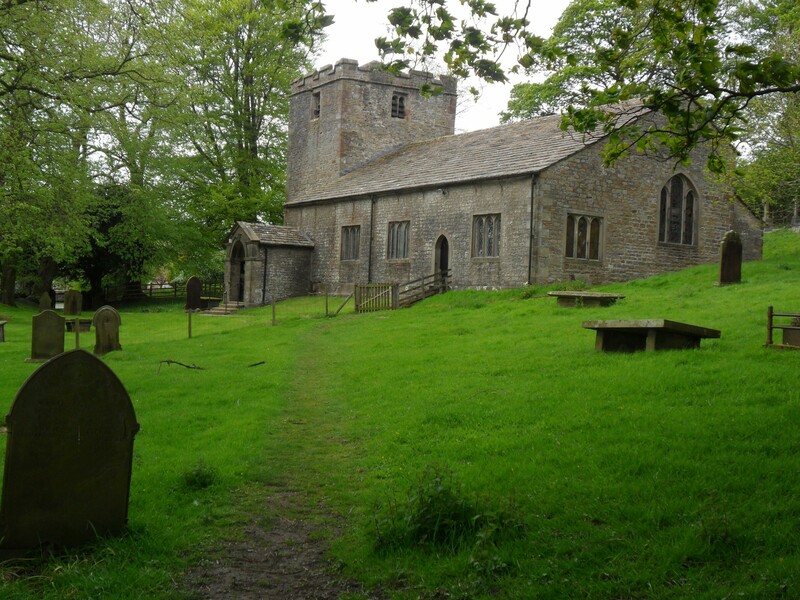 Of course it goes without saying how wonderful the old stone farmhouses, cottages and churches are . Love the great capture of the horse you encountered along the way as well. A fine walk. 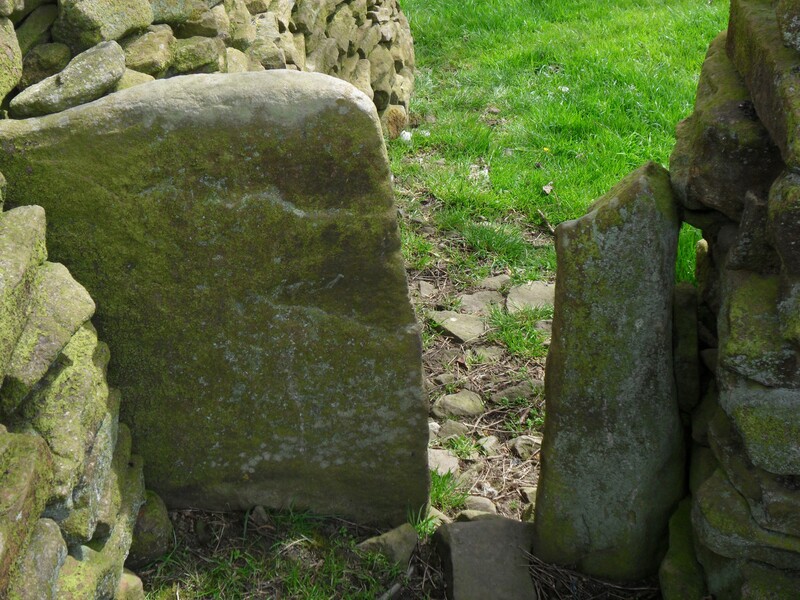 The Pennines are so rich in utilitarian stone artefacts, they gave the area its strength, and today its legacy. And yes the sun shone on that trip.